Locked Out of Your Houston, TX Home? There are a lot of times where you may find yourself in a home lockout situation. Maybe you simply forgot your key or you left it inside the home. How do you get in? There are many things to think about if you need a professional locksmith in Houston, TX to let you back into your home. You also may want to find out what their response time is. If they have a fast speedy response time, then you can be sure they will be there at a proper time to help you. There should also be great customer service because if the locksmith in Houston, TX cannot talk to you, then you probably don’t want to use them for your needs. They should be fast and friendly to help you get into your home in the event of home lockouts. 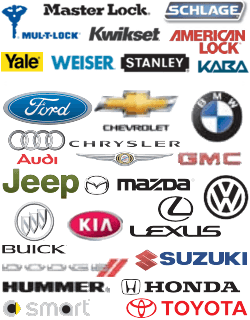 713 Locksmith Houston features all of these and more! Our locksmiths are licensed, bonded, and insured for your protection. We also have 5+ years of experience for you to feel secure and safe with having us work on your front door locks. We also provide 24/7 locksmith service, which is especially important for home lockouts as we never plan for them to happen. Have a question about our services? Feel free to contact our polite and courteous customer service staff, available 24/7. You can call in advance to be sure you get the service you need at a price that makes you smile. We’re very proud of our upfront pricing policy, something that not all locksmiths in Houston, TX employ. A complete locksmith service is a great thing to have in your back pocket to know you are covered should you experience home lockouts. Up front pricing is important because you want to know what you will need to pay before the service is carried out. Home lockouts can happen at any time. That’s why it’s important to know that 713 Locksmith Houston employs locksmith services around the clock. This way, you can be sure that you will be able to get into your home at any time of day or night. Call 713 Locksmith Houston ‘Round the Clock if You’re Locked Out of Your Home! Home Lockouts http://713locksmith.com/home-lockouts/ 3.3/5 based upon 26 reviews.